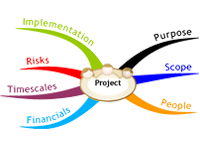 Product Development Companies in India,Project Development Companies,Process Monitoring,Process Intelligence,Mobile App development companies. Every system has its own lifecycle and when it tries to fade from the coping up with the ever changing regular and new business requirements, hence there is always a need for constant innovation and lateral thinking. With the offset of the Legacy system and movement to the new system it becomes inevitable to post the Legacy system data to new system based on the required standards. The term Data Migration seems to be simple but there are many challenges and complexities involved. Documenting the approach based on Target system data model and Legacy system data storage based on business considering the dependency on other existing systems. Reporting to check the data reconciliation and data correctness. Data Migration plays a very important role in the success of implementation of the Target system for uninterrupted business operations. The right data is always the core of any system. Interface and data integration is a must when there are more than one systems involved in the architecture. Interfaces are built between two systems to overcome the gaps or requirement of one particular system to fulfill their business requirement. Have been involved in creating the Design and comprehensive solutions to integrate and parameterize the required User Interface hence ensuring flexibility. When a Euro Zone country decides to opt for Euro as their official currency that means all Businesses/systems and data have to be converted to Euro which now becomes a local currency. Our team has been a part of the changes in CBS & Interfaces for Euro conversion project when Estonia opted for EURO from1st Jan 2011. In Estonia we are part of SEPA implementation by planning providing solution and documenting, Testing and support. Our team has the ample experience and expertise of SEPA implementation on Flexcube core banking solution with the keeping intact with the Central European bank rule book on SEPA and clearing system.